(CBS News) Justin Timberlake's version of "My Love" was pretty good, but CDZA's version may actually just be better -- or at least more impressive. In fact everything these viral musical masters do is pretty impressive, which is why we've featured them so many time before here on The Feed. But when they add their musical prowess to a little JT, they've definitely got my love. Check out their latest YouTube video above to see just what they've done to this popular tune. Pretty cool, right? And all in just one minute! Talk about timing! Which is your favorite genre? Mine may be Polka and Dubstep because they are so un-Justin. I also love how all the players freeze at the end. You can tell that these guys definitely have fun together. 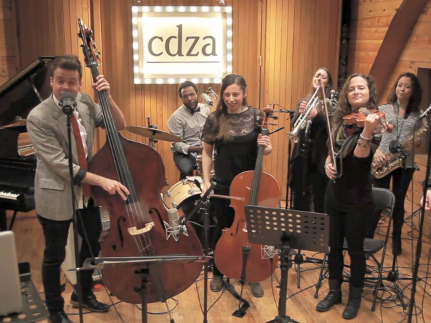 And if you'd like to check out more musical stylings by CDZA (short for Collective Cadenza), be sure to click here for our previous posts highlighting them or you can click here to go to their YouTube page.